Yes! Well said, Caleb. One of my fav things I’ve heard a preacher say lately was in regards to “capture every thought to the obedience of Christ” scripture. Joseph Prince said, “When you think that this verse is telling you to make your mind perfectly obedient to Jesus, you have to dismiss it, because that’s impossible. This verse is actually telling us to think about and meditate on Christ’s obedience on our behalf.” He then goes on to say that just about any interpretation of any scripture (but not all the time) that causes us to be introspective is wrong, because the scriptures point to Christ, not us. The whole sermon was about how easy holiness is when we concentrate on Jesus’ holiness instead of our own. Love it dude. This post is exactly what God has been teaching me lately. Me too, man! I just keep coming back to the fact that we make this more difficult than it needs to be (although, it will still be extremely difficult). Jesus has done the work on our behalf. Stop trying to do Jesus’ job! Caleb, I don’t think I follow your argument here at all, I’m afraid. I’m a bit baffled by it. You write: “We are about Christ. That’s it. We’re not about becoming good.” That seems a false dichotomy. If Christ is good (or, in fact, The Good), and the aim of our religion is conformity to his image, then, we who profess to be his disciples are quite definitely “about becoming good,” aren’t we? You claim that church “is not a place to become good. That goes completely against the Gospel.” But, contrary to your claim, I see Paul describing the gospel Paul to the Romans this way: “Know ye not, that so many of us as were baptized into Jesus Christ were baptized into his death? Therefore we are buried with him by baptism into death: that like as Christ was raised up from the dead by the glory of the Father, even so we also should walk in newness of life.” In other words, the gospel is absolutely about being incorporated into the life of Christ, the good life. Isn’t that what Paul is saying? You urge, “Celebrate your brokenness because Christ didn’t come for the healthy, but the sick” — Yes, the brokenness was the means by which God manifests his salvific power and love, but did Christ come to the sick so they could continue to be sick? You claim, “We’re about recognizing our brokenness and Christ’s wholeness. We celebrate this through the Eucharist each week. Christ, in His brokenness, became whole and we, by consuming the emblems, recognize that and celebrate that” — But recognizing and repenting (turning away from) brokenness is not an end in itself. Only one thing is sought after for its own sake alone, that is, “the good,” which we believe is revealed to us in Christ, most especially in his Passion. The Eucharist, far from intending to leave one in brokenness and sickness, is aimed at making us good, at setting things right, as the Prayer Book puts it: “Ye who do truly and earnestly repent you of your sins, and are in love and charity with your neighbours, and intend to lead a new life, following the commandments of God, and walking from henceforth in his holy ways; Draw near with faith, and take this holy Sacrament to your comfort; and make your humble confession to Almighty God, devoutly kneeling.” And, the Thanksgiving after the Communion includes the petition: “assist us with thy grace, that we may continue in that holy fellowship, and do all such good works as thou hast prepared for us to walk in” In other words, we confess our “manifold sins and wickedness” in order that we might become good. Christ’s Passion, his embrace of our weakness, sin, and death, is not an end in itself; it is only “good” in that it is the mechanism by which all of creation is made good again, as it was when God spoke it into existence. The Eucharist, which is focused squarly on the Passion, is not a “good” in itself, it is good as a means to making God’s good purposes for us and for the whole creation come to pass. The Fathers call it the “medicine of our souls,” which, of course, means it is means towards health, towards wholeness, towards the good. And, does’t Peter urge those of us who have “duly received these holy mysteries” to “give diligence to make your calling and election sure: for if ye do these things, ye shall never fall.” And, what are “these things”? — “giving all diligence, add to your faith virtue; and to virtue knowledge; And to knowledge temperance; and to temperance patience; and to patience godliness; And to godliness brotherly kindness; and to brotherly kindness charity. For if these things be in you, and abound, they make you that ye shall neither be barren nor unfruitful in the knowledge of our Lord Jesus Christ.” Isn’t that a description of the pursuit of virtue? Isn’t that about becoming good? And, what, according to James, is “Pure religion and undefiled before God and the Father”? — “To visit the fatherless and widows in their affliction, and to keep himself unspotted from the world.” You claim, “We spend quite a bit of time crafting messages that will make people feel like they can become better and in the process of doing so, we remove any need for Christ.” But, the need to become better is precisely the need which Christ, comes to fill: “Behold, I make all things new” — as John’s vision of the Lord has it — “I am Alpha and Omega, the beginning and the end. I will give unto him that is athirst of the fountain of the water of life freely.” It is not good to be thirsty; if the Lord came to assuage my thirst, he came to make good what is not good. Right? Drew, I completely agree with what you say. But I think this is where your viewpoint is going to be different than my viewpoint. The evangelical stance of becoming “good” is very much internalized and doesn’t stretch to what James tells us or even what Paul tells us. When the evangelicals practice “becoming good,” I see more of pop-psychology rather than a transformative understanding of Christ. The focus of our gatherings is not to become good, but to become disciples. Is this “goodness” a branch of discipleship? Of course. 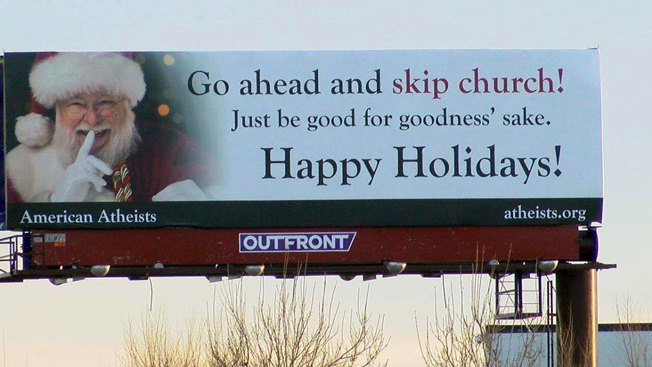 But it isn’t the goodness that I see being marketed in many of the evangelical circles. That goodness is completely shallow and self-serving. Yes, I see your concern — the misconception against which you’re pushing. A goodness that is “completely shallow and self-serving” isn’t “good.” So, of course, that means you have two broad ways of responding: (1) jettison the word “good” and urging disciples to peruse it (the option you’re taking here); or, (2) take the opportunity to reshape the popular conception of “goodness.” I admit that the latter option — teaching people to re-think what they’re “goodness” — is the harder of the two. But, I have serious concerns over the consequences of option 1. I have spent a lot of time over the past day questioning, prodding, and parsing out what exactly it is that has me so concerned. It boils down to two things. First, if you jettison the language of “good,” if you tell people the Christian religion is not about seeking or becoming “good,” then you sever the people you’re leading from the language of scripture and classical philosophy, into which one would hope they, as disciples, might begin to delve. Let’s say a person accepts your claim, “the focus is not to become good,” when that person then turns to the scriptures they will encounter: “Beloved, follow not that which is evil, but that which is good. He that doeth good is of God: but he that doeth evil hath not seen God.” (III John 1.11), “eschew evil, and do good; let him seek peace, and ensue it” (I Peter 3.11), “Who is a wise man and endued with knowledge among you? let him shew out of a good conversation his works with meekness of wisdom” (James 3.13), “But to do good and to communicate forget not: for with such sacrifices God is well pleased” (Hebrews 13.16). Will such an one not find herself utterly perplexed; if the Gospel isn’t about becoming good, why is so very much of the New Testament focused on just that? Christians are urged there to seek the good — not only that — but are in fact told to do so because it will bring about a good outcome. They will read in Romans (2.6-11) that the Lord will “render to every man according to his deeds: … anguish, upon every soul of man that doeth evil… but glory, honour, and peace, to every man that worketh good.” In other words, practice being good, because it will bring “glory, honour, and peace” (again, understood in a sense that transcends the merely ephemeral shadows of the “good”). As C. S. Lewis wrote in “The Weight of Glory, “If there lurks in most modern minds the notion that to desire our own good and earnestly to hope for the enjoyment of it is a bad thing… this notion has crept in from Kant and the Stoics and is no part of the Christian faith.” Nor, indeed, is it a part of the stream of classical ethics extending from Aristotle, entering into Christian philosophy through Augustine, Boethius, and Thomas Aquinas — the supreme good, which all people are seeking, is to know what is true, to do what is good, and to delight in both (Boethius De Summo Bono). Thinking of classical ethics brings me back round to my second concern: if you jettison the language of striving for the good, I fear you will then find Evangelicals, as I have, who argue, “Christianity is about being saved, not being good; the good works of atheists and unbelievers will not get them into heaven” — in fact, just as I feared, someone made just such a comment in praise of your essay on Facebook: “the good acts, the wonderfully selfless acts committed by non-believers won’t get them a golden ticket into heaven.” So, instead of recognizing that any genuine delight in goodness is a fruit of Divine Grace diffused into the world, a seeking after the highest Good (God’s own self), this Evangelical Christian has concluded that the selfless, good acts of non-believers is just a sad reminder that they’re going to burn in hell. This is most troubling, and entirely disconnected from the classical stream of Christian theology and ethics, in which all good is seen as a reflection of The Good, and all seeking after goodness (even misguidedly) is seen as the prompting of the Divine Image in which each of us what created, however vitiated that image may be. So, I’m really quite troubled by the this approach you’re taking to the popular Evangelical misconceptions about “becoming good.” I think the second, harder option — teaching disciples to think better about what “becoming good” really means and why the scriptures urge believers to it. For, to seek the good is not a way to obtain Divine Favor, it is always the fruit of that Favor: “For we are his workmanship, created in Christ Jesus unto good works, which God hath before ordained that we should walk in them” (Eph. 2.10). They’re pursuit of the prize is itself a good, which comes from God, “the God of peace, that brought again from the dead our Lord Jesus,” who will “make you perfect in every good work to do his will, working in you that which is well-pleasing in his sight, through Jesus Christ” (Hebrews 13.20-21). And what is it, what does it look like, to practice the good towards which God moves us: “He hath shewed thee, O man, what is good; and what doth the LORD require of thee, but to do justly, and to love mercy, and to walk humbly with thy God?” So, what I’m saying, in my round-a-bout, verbose way (I’m sorry!) is that the opportunity here is not to give up on “good” but to teach disciples (that is, after all, Greek for “scholars,” “students”) to understand what is good.